The Middleton Solar DN5-B is an upgraded version of the DN5. 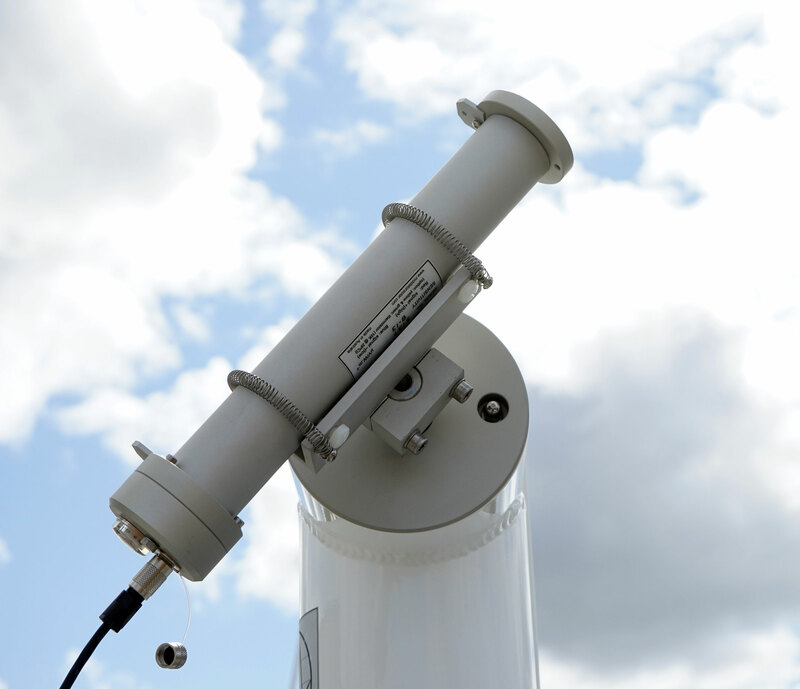 It is an affordable precision pyrheliometer for measuring solar Direct Normal Irradiance (DNI) when aimed at the sun. It exceeds the international accepted specifications for a Spectrally Flat Class B pyrheliometer. The DN5-B has a passive microvolt output, and the DN5-BE version has an in-built amplifier to give a millivolt output for easy signal measurement. Use the AST-02 Active Solar Tracker to aim the DN5 at the sun.